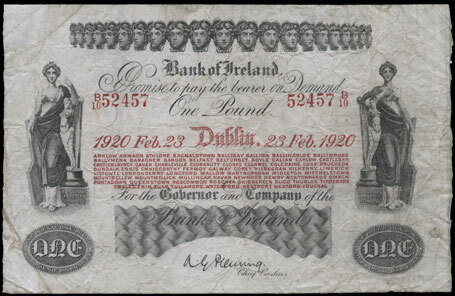 Bank of Ireland, Series F - 1918-1920. 66 branches. Modern serif style serial numbers. 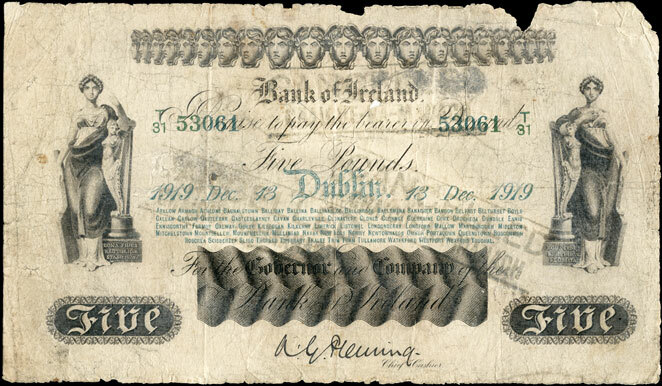 Fleming signature.